As a nonprofit organization under the Ministry of Culture, Sports and Tourism, the Visit Korea Committee contributed to achieving the goal of attracting 10 million foreign tourists thanks to the launch of the 2010-2012 Visit Korea Year campaign. 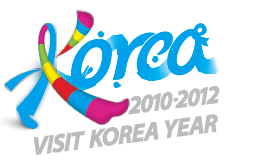 After a restructuring of the organization in July 2013, the Visit Korea Committee successfully launched the 2016-2018 Visit Korea Year to build on the success of the previous campaign and to lay a foundation for qualitative development commensurate with quantitative growth while gaining momentum from the PyeongChang 2018 Winter Olympics and Paralympic Winter Games.The Visit Korea Committee operates in public-private partnerships, encouraging the private sector to lead initiatives and having the public sector support such efforts, thereby fostering synergy in promoting Korea’s tourism. In addition to key projects such as the Korea Grand Sale, the KOREA TOUR CARD, and the K-Smile Campaign, the committee offers various services targeted at foreign independent travelers (FITs).